So how did a region accounting for only about 10 percent of Belgian exports to Canada find itself with the power to thwart the EU and its own national government on CETA? In a nutshell, the answer lies in an unusually complex domestic political scene that has, over the past 45 years, devolved so much power to sub-national governments that the federal government must get approval from each of the constituent parts before making a trade agreement, as well as some other types of international deals. How Belgium got here is, as you might expect, a long story. Most modern federal countries are made up of non-overlapping sub-national territories: think American states, German Länder or even Australian states and territories. But Belgium, in its own special way, set up its federation to include two overlapping but closely related sets of territories. There are the three “regions” – the Flemish Region (a.k.a. “Flanders”) in the north, the Walloon Region (Wallonia) in the south, and the capital territory of Brussels, an enclave surrounded by southern Flanders – which are the closest thing to the traditional states or provinces we’re used to. These regions have power over things like the economy, transportation, and territorial planning. 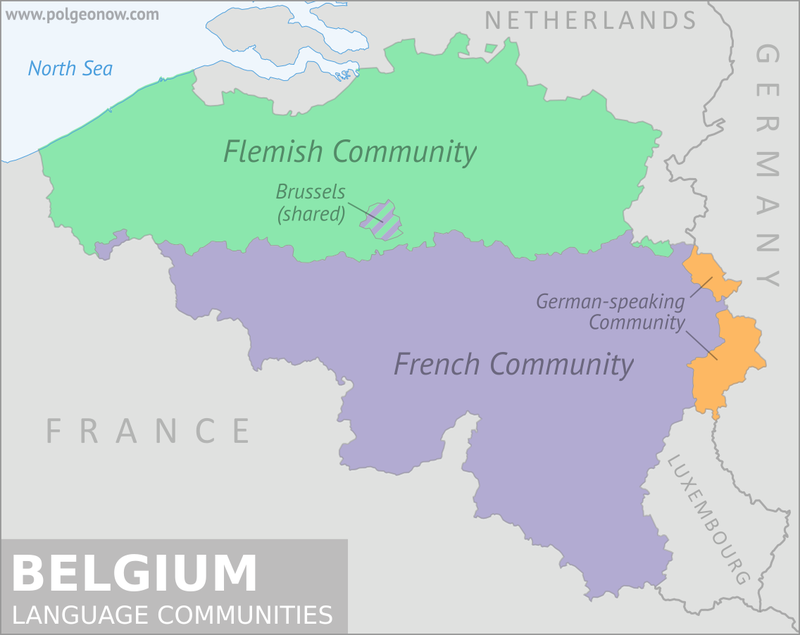 Laid over that map, there are three language-based “Communities”: the Flemish Community, the French Community, and the German-speaking Community. 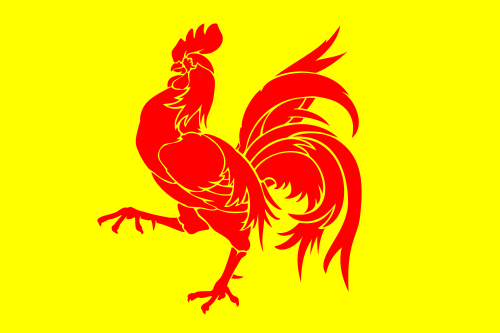 The Flemish Community (Flemish being the Belgian variety of Dutch) includes all of Flanders, and the French Community includes most of Wallonia, with Brussels shared between the two. Meanwhile, the German-speaking Community lies within Wallonia, along Belgium’s eastern border with Germany. The Communities have control over things like culture, education, and language matters. Both the Flemish and French Communities share influence over Community-level issues in bilingual Brussels. Each of the regions and communities has its own Council (Parliament) and government (executive branch), though the Flemish Region and language community long ago merged their councils and parliaments, leaving five federal entities in total. The Belgian system requires all five governments to approve any trade deal before the federal government can give its assent. In CETA’s case, Flanders, the German-speaking Community, and the federal government were all in favor, but the Walloon region and the French Community (remember, largely the same territory), plus Brussels, hesitated. With no coercive powers, all Belgium and the EU could do was negotiate with the holdouts. Now, who would ever purposely choose to design a system this convoluted? If you answered “Belgians,” you’d be right, but even they didn’t go straight there. Belgium’s system came about through a long and complex, but fascinating, history. How Did Belgium Get This Way? Modern Belgium became a country in 1830, when the largely Catholic southern half of the United Kingdom of the Netherlands broke away from the politically dominant Protestant-majority northern half, creating the Kingdom of Belgium. While religiosity is now down in Belgium (as it is all over Europe), the Catholic Church is still largely seen as a unifying force there. Is it "Wallonian" or "Walloon"? It's standard to use the word Walloon when referring to someone or something from Wallonia. Although Wallonian sounds like a normal way to construct a word in English, it's only used as a rare variant. Wallonian is missing from most dictionaries, and Google search results are dominated by a type of brewer's yeast sold in California. A search of usage in Google's book database shows that Walloon is vastly more common, though published instances of Wallonian did increase sharply in the second half of the 20th Century. As a result, Flanders was no longer the economic laggard, and began demanding the political power to accommodate the shift. Beginning in 1970, a series of constitutional reforms began the process of decentralizing political power. The first move, in 1970, was the creation of the language communities, followed by the regions in 1980. Further powers were devolved over the course of the 1980s, and in 1993 the Belgian constitution was amended to fully reflect the federal structure. Tweaks in 2001 – including the devolution of economic (and thus trade) policy to the regions – and 2012 have sorted out further conflicts. Ironically, it was the Flemings who pushed for devolution of trade powers – a move that later allowed Wallonia to block the Flanders-supported trade deal. Belgium "didn't have a government" in 2010-2011?! When people say Belgium went 20 months "without a government", they don't mean it was in a state of anarchy. Unlike Americans, Europeans use the word "government" for just the Prime Minister and cabinet (the country's administrative structure is called "the state"). During Belgium's government crisis, there was an elected legislature, functioning courts, and full police presence. The previous cabinet even stayed on as a substitute to make the most crucial and uncontroversial government decisions. And, unlike in the US "government shutdown", national services and administrative bureaucracy continued uninterrupted. This series of constitutional reforms reflected a struggle to keep Wallonia from having too much control over Flanders or vice versa. But the strengthening of the regional governments has taken a toll on national politics. Belgium takes an average of 98 days to form a parliamentary government after an election, the longest of any democracy in Europe. It also holds the world record for longest period without an elected government in a democracy – a whopping 541 days in 2010-2011. It’s this weak federal government role that gave little Wallonia the power to block the massive trade deal with Canada, after the EU decided to pursue an ambitious type of arrangement that required the approval of all 28 member countries. Most EU countries have kept that power contained at the national level, where there’s a greater consensus for free trade. But the decentralized Belgian system gave Wallonia a voice that allowed it to rise above the Belgian reputation for beer, chocolate, and Brussels – at least until a few tweaks to the treaty satisfied the Walloon government, and it allowed the EU and Canada to finally sign CETA on October 30. Graphics of the Belgian flag and the Walloon flag are in the public domain.